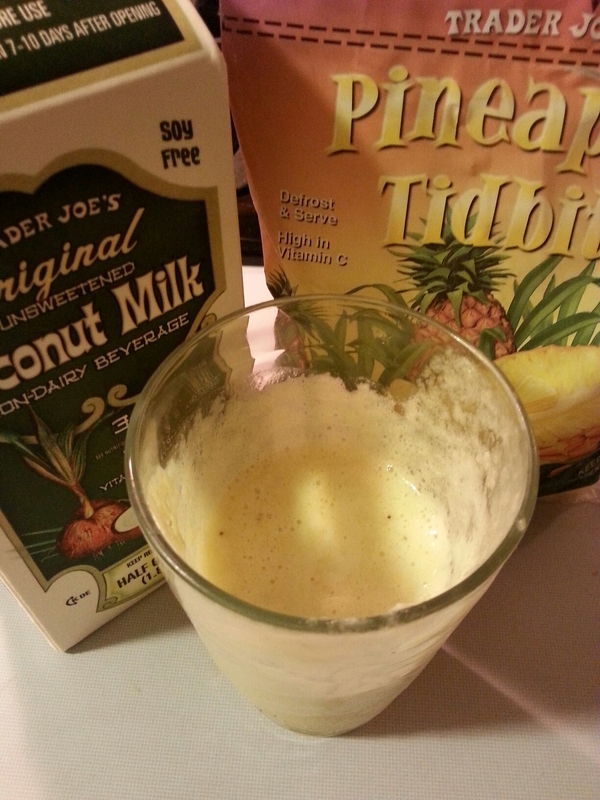 I am always dreaming of the ocean, and what better way to whisk you away than a pina colada! SUPER fresh and easy. Coconut milk has medium chain fatty acids, which helps to support metabolism. Unfortunately the brand I picked up has carageenan in it, so I will need to find an alternative for next time. Remember! If you are lifting weights, go lighter and add a set or increase repetitions. This is a great set of exercises that incorporate pushing and pulling motions for the upper body. These moves require balance, which will challenge your core. Smith Machine Pull-up for 60 seconds, or 10 reps (see pic) – if you don’t have a Smith Machine at home (who does?) then take a resistance band shoulder height, and shoulder width apart and extend out, hold for 20 seconds, feeling the resistance. You don’t need much at home to keep yourself fit during Ramadan. 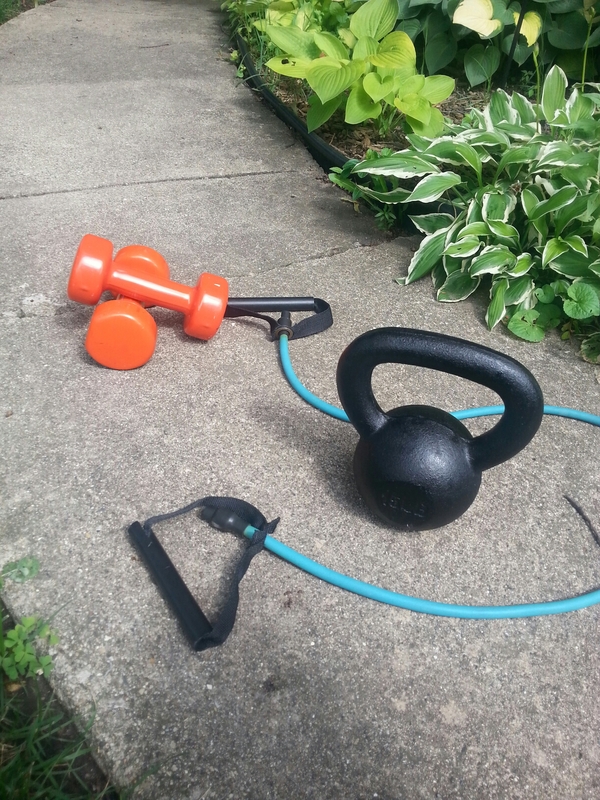 Here I have a kettle bell, dumbbells, and a resistance band. All I need! Dont make it complicated. With Ramadan approaching in just a few weeks, many of you, like myself, are wondering how to maintain a level of fitness throughout the month of Ramadan, so as not to lose endurance and muscle tone (neither are completely true). Fear not! There are several habits you can adopt throughout your day, and can maybe even enhance the spiritual aspect of fasting by giving you a little extra energy here and there. I’ve share below some of my own lessons learned. Feel free to share your own! I came across this inspiring interview by UAE weightlifter Amna Al Haddad. 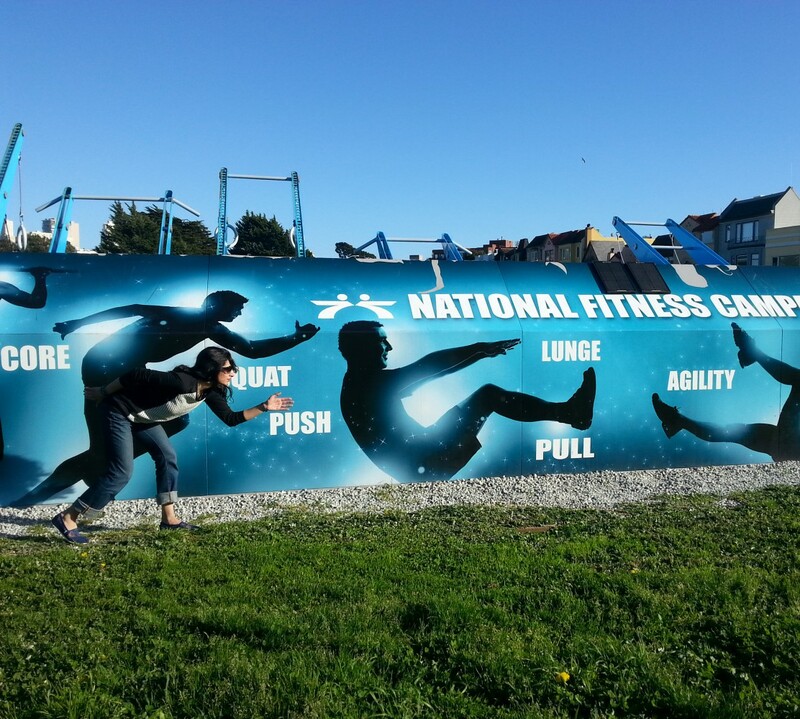 Pushing the boundaries as a Muslim woman, and as an Olympic hopeful! I love to see women lifting weights! UAE weightlifter Amna Al Haddad eyes the 2016 Olympics. I’m also excited to approach Ramadan differently, from a fitness and exercise perspective. I underestimated myself last year, and relaxed quite a bit. I’m going to be maintaining my lifting sessions, but at a lesser intensity. For me, regularity will be more important than stopping altogether. 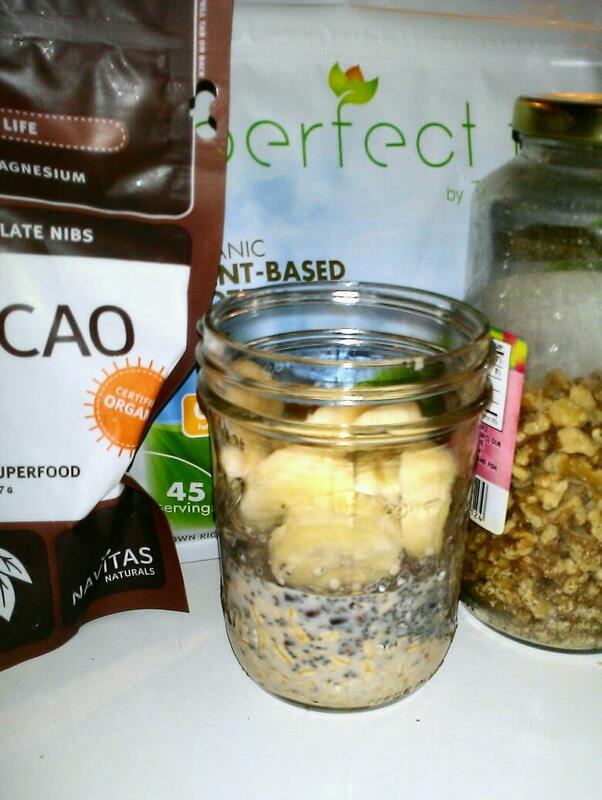 The recipes for overnight oats are a dime a dozen, make them your own way! Really, don’t get hung up on how to make them “perfect”. I love to make them the night before I know I will have a busy morning, race day, or during Ramadan, for my pre-dawn meal (Suhoor). The oats truly need at least 3 hours in the fridge, but many just keep them overnight. They are very easy to make, and all you need to remember is a 1:1 ratio of oats to liquid. Most will add milk of your choice, I’ve seen some people add juice. I would not… Play with the thickness of oats you desire, more or less liquid, more or less yogurt. To the milk and oat mixture, some people will add (greek) yogurt for added smoothness and protein. I go back and forth on how I feel about the yogurt. It’s great to get that extra bit of protein for sure. To this you can add several nuts, seeds, spices, and dried fruit. Be sure to give it a good stir before you set it for the night, and in the morning you can add fresh fruit. I like to top off with fresh bananas.